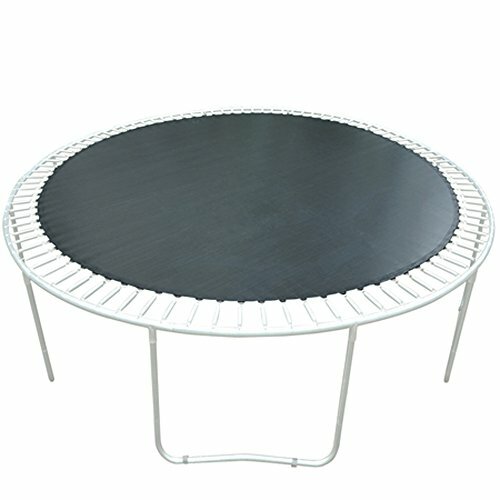 This premium jumping mat is to fit your 14ft-framed round trampoline with 8.5" spring and 96 spring holes. Made with Permatrom polypropylene, it is rather tough yet flexible. It continues to offer ultimate bouncing enjoyment even if your original mat has worn out and accomplished its mission through years of jumping practice, at a fraction of the cost of a new trampoline!